OT Corporate Tree - elegant pattern in bright colors from the design studio OmegaTheme. Stylish design layout in combination with functional studio platform Solid Framework, perfect for creating a variety of corporate, business sites, as well as for personal blogs and business cards companies. 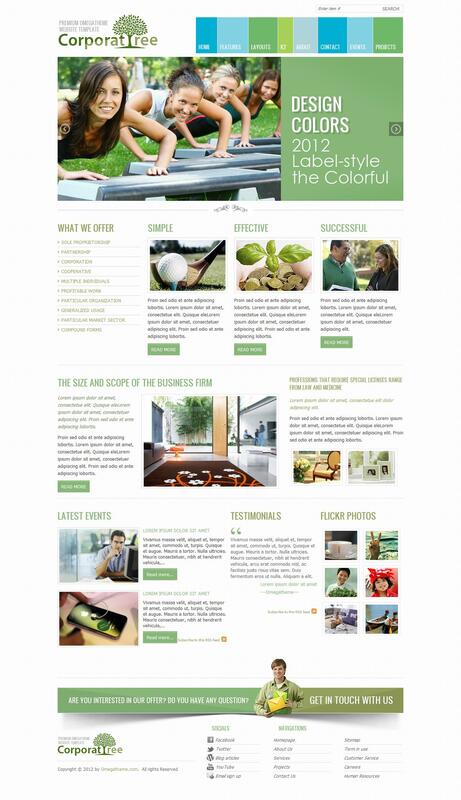 Corporate rotator materials on the home page allows a flexible way to display the most important information visitors. Built-in support of popular content management manager K2 and additional styles to it, greatly increase the potential and opportunities of this template. Corporate Tree has a fast speed of loading pages, has optimized the code files and supports a variety of mobile devices.